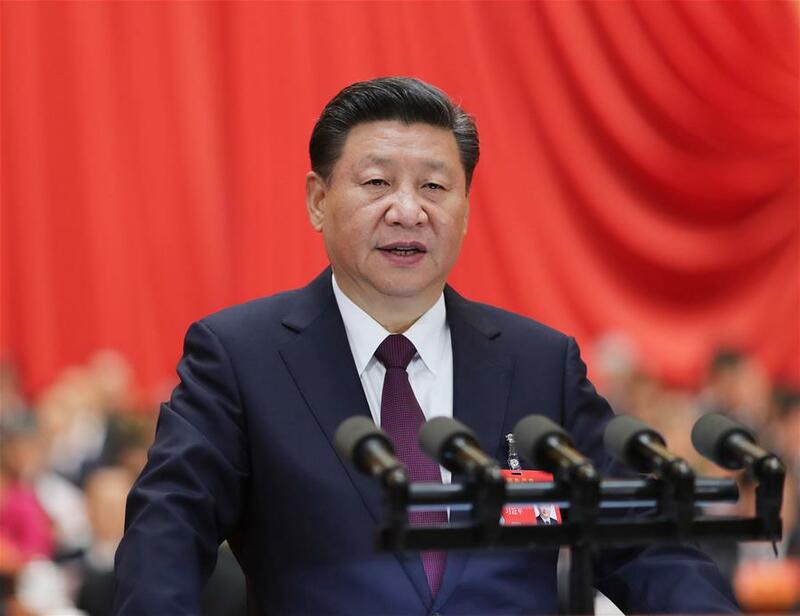 BEIJING, Nov. 16 (Xinhua) -- On the morning of Oct. 18, Xi Jinping, standing behind a lectern in the Great Hall of the People, delivered a report to the 19th National Congress of the Communist Party of China (CPC). The 32,000-character report, the most significant of its kind in recent decades, drew more than 70 rounds of applause from delegates. In the report, Xi said socialism with Chinese characteristics had crossed the threshold into a new era. "This is a new historic juncture in China's development," he stated. The report has been translated into 10 foreign languages. Most of the translators and foreign linguists involved used the word "powerful" to describe their first impressions. "I was absorbed the first time I read it. I read from morning till midnight, even forgetting to have meals," said linguist Olga Migunova from Russia. U.S. expert on China studies and chairman of the Kuhn Foundation, Robert Lawrence Kuhn, said that with this political report and the congress, Xi, who is the core of the CPC Central Committee and of the whole Party, sees China as standing at a new historic starting point. At the first plenary session of the 19th CPC Central Committee on Oct. 25, Xi was re-elected general secretary of the CPC Central Committee for a second term, a reflection of the will of the entire CPC. Media and observers, at home and abroad, see Xi as the right man to lead China from being "better-off" into a great modern country. In 1949, Mao Zedong announced the founding of the People's Republic of China, marking the end to a century of humiliation at the hands of foreign aggressors. Deng Xiaoping, who put forward the reform and opening-up policy, then paved the way for the nation to become rich. 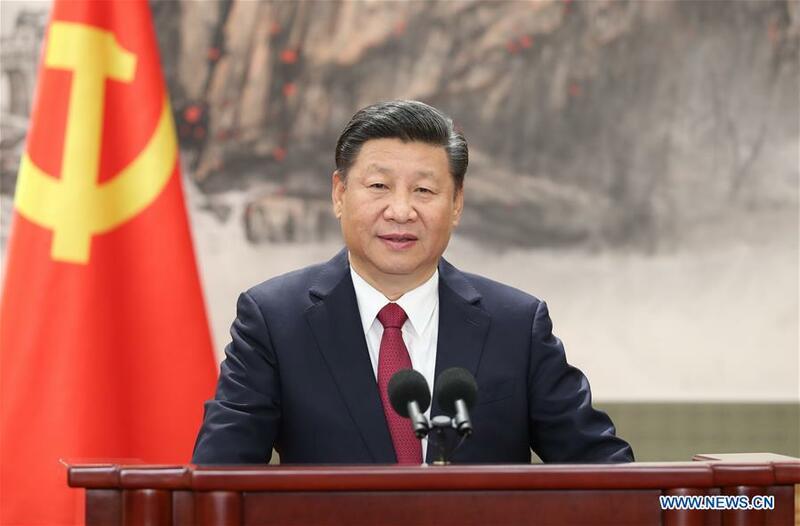 The coming five years between the 19th and the 20th Party Congress is the period in which the timeframes of the Two Centenary Goals will converge, Xi said when presenting the new CPC central leadership to the press. 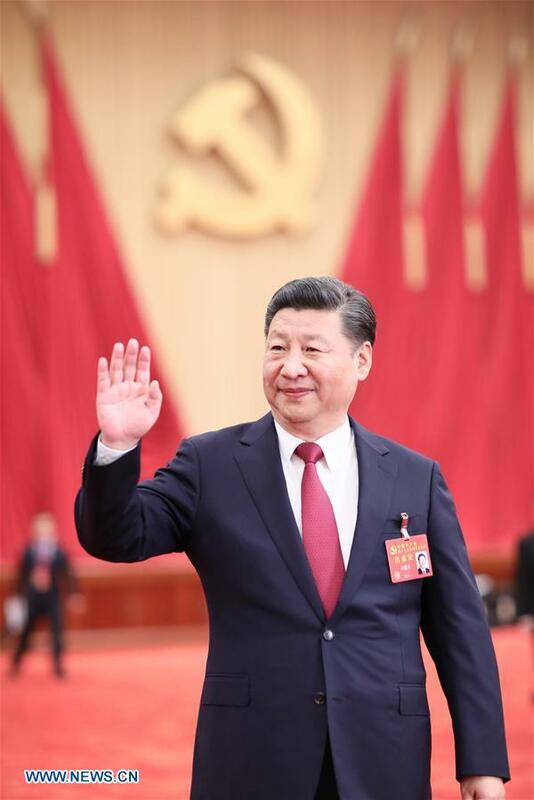 "Not only must we deliver the first centenary goal, we must also embark on the journey toward the second," he said, promising to work diligently to "meet our duty, fulfill our mission and be worthy of CPC members' trust." He stressed that Chinese Communists "must always have a youthful spirit, and forever be the servants of the people, the vanguard of the times and the backbone of our nation."